This year we’re trying something that’s kind of new for us: an actual year round homeschool schedule. We’ve always been year-round homeschoolers (sort of), because we don’t actually take a summer break. But this is the first year that I’ve actually sat down and planned to teach lessons the whole year. 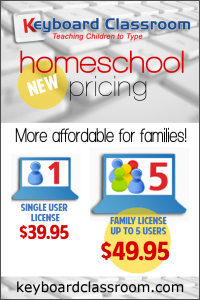 If you’re interested in year-round homeschooling, take a look at our year-round homeschool schedule for 2015-16! The reason we’re embarking on a true year round schedule this time around is because I’m planning to become a full-time minister. Since I’ll be spending around 70 hours a month in our Bible ministry, I’ll be trying to do the bulk of my ministry during temperate months and NOT in the heat of summer…lol. As a result, we’ll be doing the bulk of our homeschooling in the summer. And – in speaking to some other homeschoolers, I’m not the only one taking that approach. Summertime here is just too hot to do anything and most of the recreational facilities are packed with public schoolers during summer anyway, so…summer school it is! One other note: I no longer use timed scheduling. I’ve done that in the past and it just does not work for our family. We do much better when we have a general rhythm to our day. Tuesday: Unit Study, ELA, Math, Science, P.E. Thursday: Unit Study, ELA, Math, Geography, P.E. Friday: Unit Study, ELA, STEM, Logic, P.E. Monday: Unit Study, ELA, Math, Science, P.E. Tuesday: Unit Study, ELA, Math, History, P.E. Thursday: Unit Study, ELA, Math, Foreign Language, P.E. Friday: Unit Study, ELA, STEM, Art/Music, P.E. And that’s it! 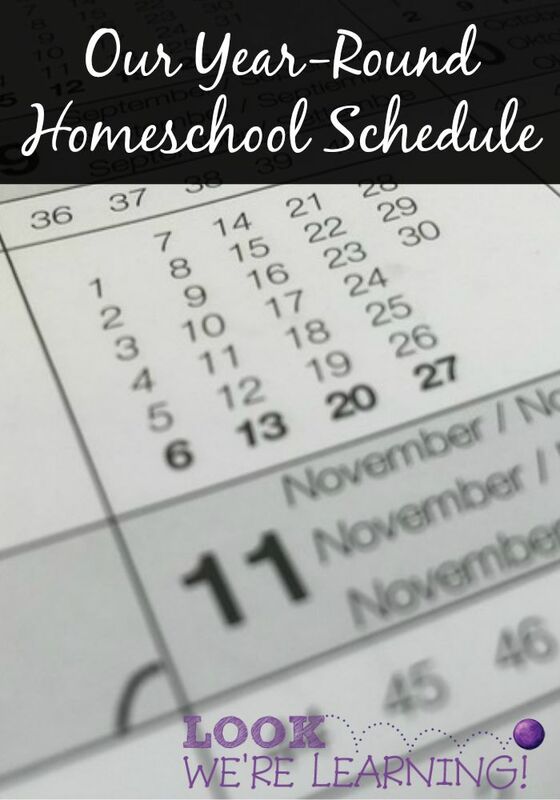 Have any of you tried a year round homeschool schedule? What adjustments did you have to make along the way? Share your experiences in the comments! 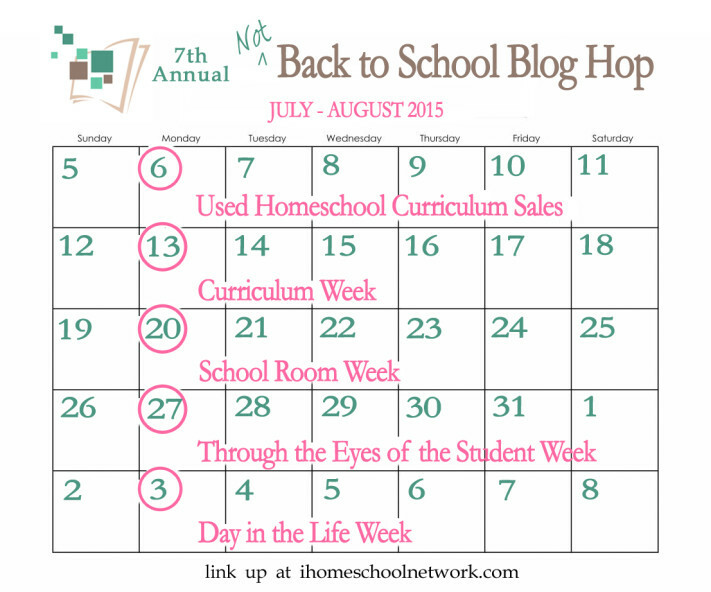 This post is part of the 2015 “Not Back to School Blog Hop” from iHomeschool Network! Click on over to read how my fellow bloggers are getting ready to NOT go back to school this year! Congratulations Selena on entering the ministry. We home-school year round, though not as regimented in the summer as during the other months. I teach live classes online 2-3 days a week so we have had to be creative with our scheduling. Most of our schooling takes place in the evening after dinner which seems to be working. Now that my two oldest can work independently I can give them weekly assignments while helping my youngest and doing my job. Oh, how I look forward to the years when my kids can work independently. We’re FAR from that stage right now…lol. It certainly helps to be creative with our scheduling, right? Life comes up and being flexible can truly make all the difference. Thanks for stopping by, Leigh! We school year round and LOVE it! The freedom it offers is amazing. Once we tried it, we were hooked! Hope you enjoy your official year round schedule. Selena you must know you are my homeschooling inspiration. I’ve been considering year round homeschooling myself, but Have yet to figure out a plan ofor how to go about it. So this post was very helpful for me. This is our first year of official yearround schooling. I like it because we can break when everyone else is back to school and the weather is pleasant. I’m so proud of you sis!! We’re doing year round schooling too. I’ve increased my time in the ministry this month. (Auxiliary- 30 hours) It’s been a challenge but the kids love going so that’s definitely a plus! Keep up the good work!